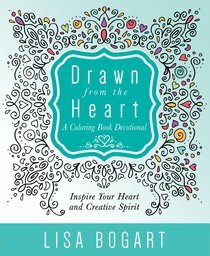 Combining thoughtful devotions with original, hand-drawn art, Bogart's Drawn from the Heart is the perfect choice for readers who want to make more of their quiet time and use their creativity as a form of praise. This unique combination devotional and adult coloring book blends thought-provoking writings with beautiful, original drawings that you make your own. Each devotion celebrates creative people and how their work changed lives as well as beautiful hymns and scriptures. By embracing the gift of creativity and seeing everything we do, even coloring, as an act of worship, readers will learn to live a life that more fully reflects God's gifts, no matter how diverse. About "Drawn From the Heart (Adult Coloring Books Series)"
Lisa Bogart is a knitter, weaver, and scrapbooker with a degree in Fine Arts from Colorado State University. She works at Piedmont Yarn & Apparel in Oakland, California, and belongs to three knitting circles. She lives in California.